Smartwatches, wearables are slowly gaining in popularity and Google, with an eye on the burgeoning segment has launched the Android Wear platform. Android Wear is a version of Google’s Android operating system designed for smartwatches and other wearables. An Android Wear smartwatch lets you receive updates, notifications, track your fitness activity etc. right on your wristwatch. So, if the Android Wear smartwatch has caught your fancy, we have listed below the top 5 best Android Wear smartwatches you can buy right now. 1. 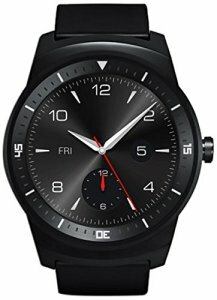 LG G Watch R: The LG G Watch R is the most polished Android Wear smartwatch available right now in the market. The LG G Watch R is LG’s second go at the Android Wear smartwatch after the LG G Watch. The LG G Watch R has a full circle watch face and a P-OLED display. It is powered by a Qualcomm Snapdragon 400 processor and has a built-in heart rate monitor. 2. Motorola Moto 360: The Motorola Moto 360 has received rave reviews for its looks right from the day it was announced. 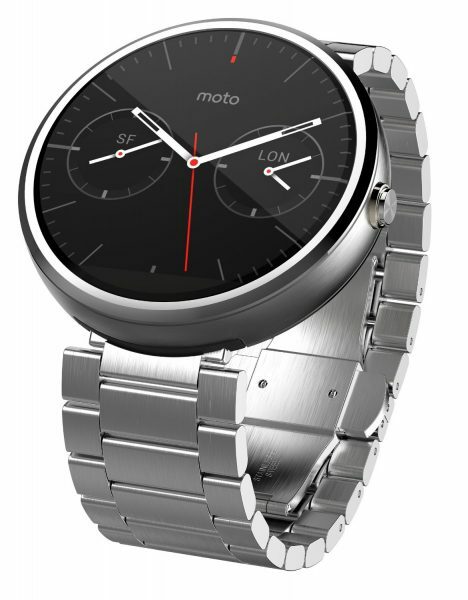 The Moto 360 smartwatch is powered by a TI OMAP 3 processor, has 512 MB RAM and 4 GB internal storage. In addition to the normal Android Wear functionality, the smartwatch is also capable of tracking your heart rate and heart activity, steps and distance, calories burned. The Moto 360 Android Wear smartwatch boasts of IP67 water resistance and is available both with a leather strap and a metal strap. 3. Samsung Gear Live: The Samsung Gear Live is the hardware giant’s foray into Android Wear smartwatches. The Samsung Gear Live Android Wear smartwatch sports a 1.63-inch Super AMOLED display, Qualcomm Snapdragon 400 processor, 512 MB RAM and 4 GB internal storage. The 300mAh on-board battery is capable of powering the smartwatch for 1-2 days. 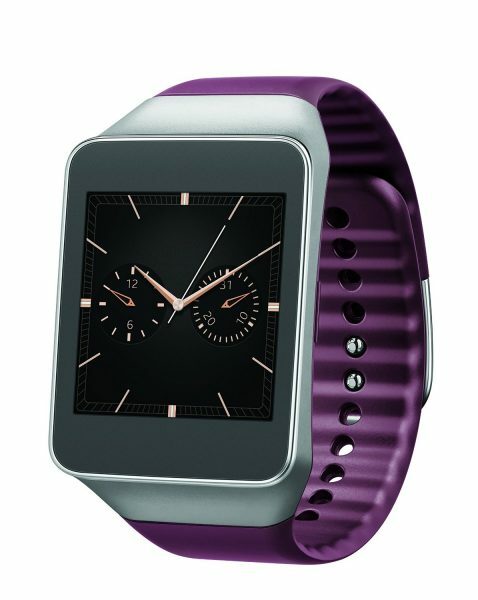 The Samsung Gear Live Android Wear smartwatch is available with a black strap and a wine red strap. 4. 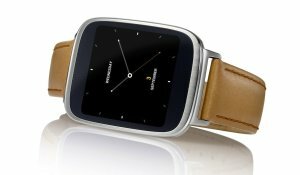 ASUS ZenWatch: A late entrant in the Android Wear smartwatch market, the ASUS ZenWatch oozes luxury with the premium Italian leather strap available in three colors. The ASUS ZenWatch Android Wear smartwatch technical specifications include a Qualcomm Snapdragon 400 1.2GHz processor, 512 MB RAM, 4 GB eMMC flash storage and a 1.63-inch AMOLED display. 5. 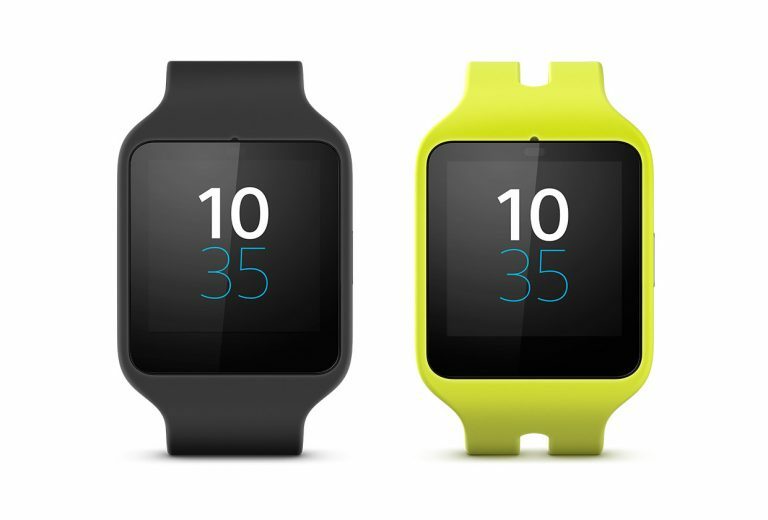 Sony SmartWatch 3 SWR50: The Sony SmartWatch 3 is the the third smartwatch offering from Sony. The Sony SmartWatch 3 Android Wear smartwatch ships with a 1.6-inch Transflective Display and a large 420mAh battery. Other tech specs include a Quad ARM A7 1.2 GHz processor, 512 MB RAM and 4 GB flash storage. The Sony SmartWatch 3 Android Wear smartwatch is available in two colors: black and a very attractive lime. These are the top 5 best Android Wear smartwatches you can buy right now. Venture into the brave new world of Google Android Wear with any on the above Android Wear smartwatches.